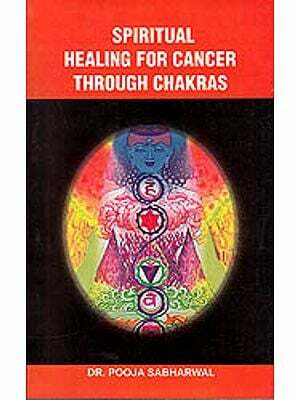 Worship of Sri Chakra is as enchanting as it is complex. It is ritualistic, abstract, and esoteric, and yet one of the most meaningful and useful practices handed down to us from ages. 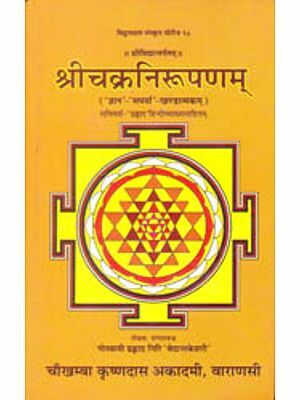 The charka, also called the yantra, represents the deity in a geometrical diagram. 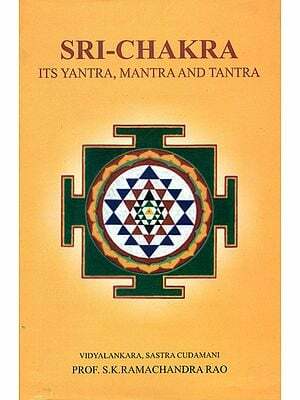 While mantra is for mental repetition, chakra is for external worship, but more abstract than worship through the image. Like the mantra, it leads one to direct perception of the divine form. Among followers of the Sakti path, worship of the deity is done to the Sri Chakra. In manifestation, the limitless one has to limit itself in a form. It radiates rays of definite forms and moulds them as various gods with distinct features. These lines of light build the form patterns shown in charkas in lines of beauty, harmony and symmetry. Impelled by universal welfare, Adi Sankara gave great importance to Sakti worship. And to this effect, he installed Sri Chakra in places of Sakti worship. 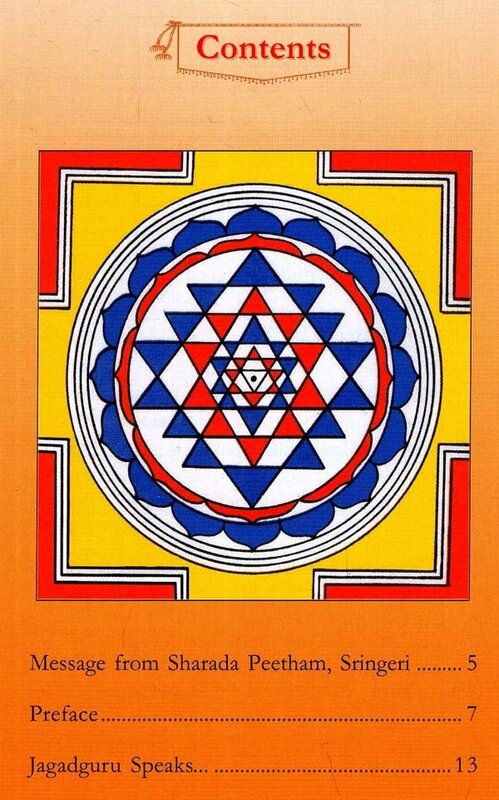 Hence, articles on the evolution of Sri Chakra and the mode of constructing the Sri Chakra based on a commentary by Lakshmidhara on Saundaryalahari have been featured in this book. 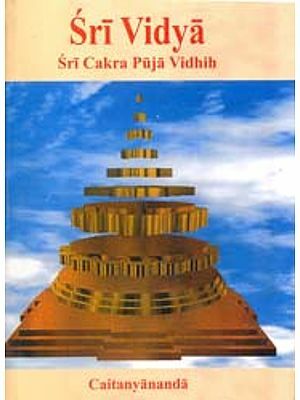 The Tripura Upanishad and the Bhavanopanishad find a place mainly because of the importance given to the worship of Sri Chakra in the spiritual evolution. The Tripura Upanishad deals with the three and nine-fold division in the Chakra to bring out the significance of the cosmic order, while the Bhavanopanishad says that Goddess Lalita, whose body is the complete universe, is verily one's own Self and well within reach. The Quintessence of Sri Vidya is a chapter which deals with the fundamentals of the ancient mystic discipline in Devi worship. 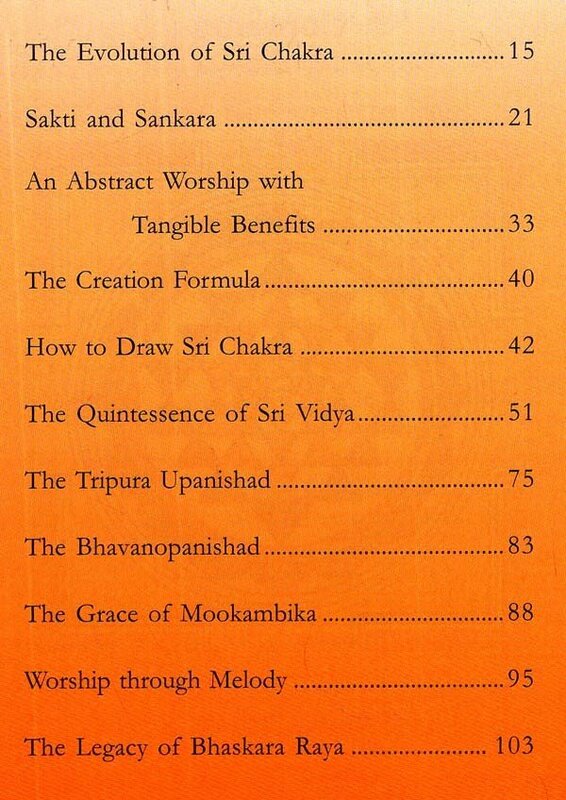 It is so comprehensive that it is said to be the highest of all sadhanas. In the majority of cases, recitation of Lalita Sahasra-nama, or singing of Navavarana songs composed by Muthu-swami Dikshitar on Sri Chakra worship, could be a simple expedient for the same result. The relevance and meaning of this simple worship are brought out in an article. There is also coverage on the Mookambika temple, where the Sri Chakra is installed, which has contributed to its power and glory over the centuries. 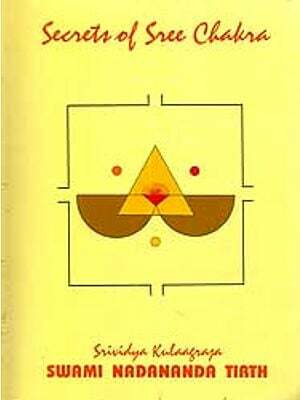 Finally, the life story of Bhaskararaya, the avid commentator on Sakti literature, shows how effective are his compositions and commentaries, because of his direct communion with the Divine Mother.